Europe’s largest bank is bracing itself for yet another wave of international regulatory probes, this time over tax evasion. A massive leak in 2010 uncovered the Swiss subsidiary’s illegal activity from 2005 to 2007, but the damaging revelations are only now causing a storm after a recent flurry of press attention. The leak exposed the subsidiary colluding with hundreds of clients to conceal undeclared accounts. The bank even provided services to criminals and corrupt businessmen, handing out bricks of cash in various currencies. But the kicker is that this information has been in the hands of tax officials around the world since May 2010. In this five-year period, the UK has only one measly prosecution to show for itself. Whether any action at all has been taken elsewhere is uncertain at best. In the UK the leak has ignited fierce political rhetoric. The Labour party put Treasury minister David Guake through a gauntlet of questions as he was forced to appear before the Commons to defend his ministry’s efforts against tax evasion. But it is HSBC’s former chief executive and chairman Stephen Green, now Britain’s trade minister, who has been receiving the brunt of the UK’s political backlash. 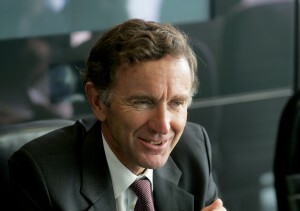 Green was the executive chairman of HSBC from 2006 to 2010. He has so far declined to comment on the leak, but David Cameron, who made Green trade minister, has come to his defense. The government of Denmark, meanwhile, will be seeking names of citizens who may have avoided Danish taxes via the bank. French Prime Minister Manual Valls reiterated his country’s determination in fighting tax evasion. France, for its part, has already launched an investigation. The unbelievable cache of data was leaked by Hervé Falciani, an HSBC bank IT worker. He handed over CDs to French tax investigators containing data on an estimated 130,000 clients. Straight out of an Alain Delon spy thriller, he slid them across a table of an airport cafe to the French investigators during Christmas of 2008. He is currently under police protection in France, but in November of 2014 the Swiss federal government indicted Falciani for industrial espionage and for violating the country’s bank secrecy law, punishable by a maximum of three years in prison. This news comes as HSBC settled with international regulators over foreign exchange rate fixing last November. In that same month the bank also settled with US authorities for targeting US clients in breach of Federal Securities law. Of course HSBC was also dealt a massive blow when it was fined $1.9 billion in 2012 over money-laundering with Mexican drug cartels and breaches of US sanctions. Under that deal, HSBC controversially managed to avoid criminal charges and to keep its banking charter that allows it to operate in the US. It might not be so lucky this time.